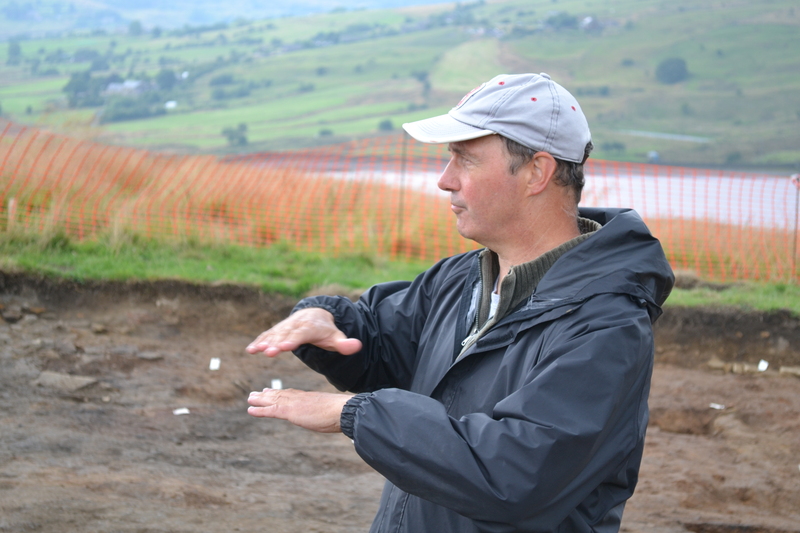 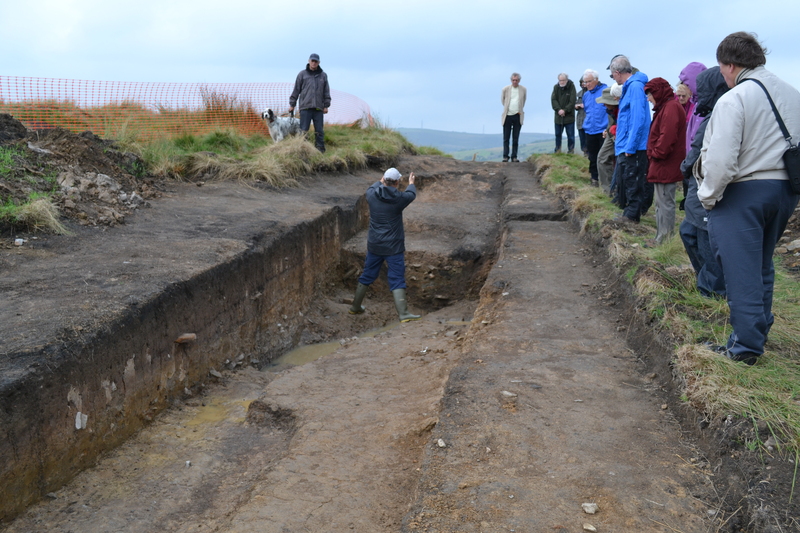 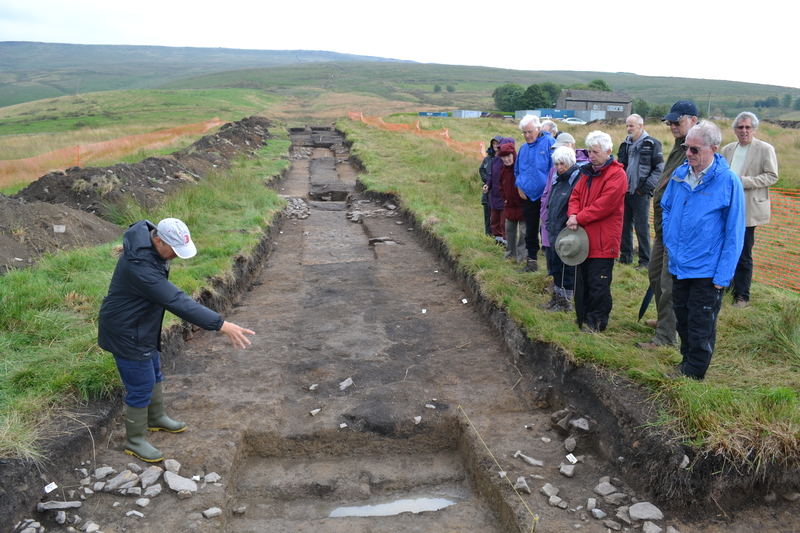 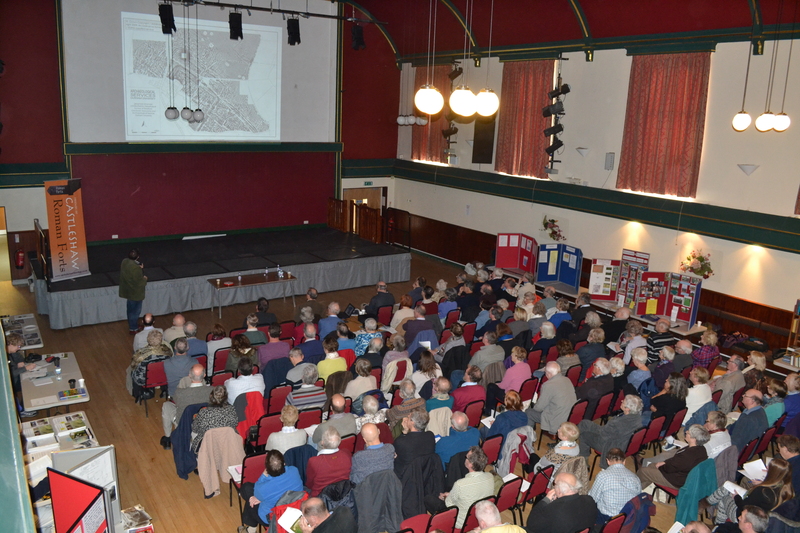 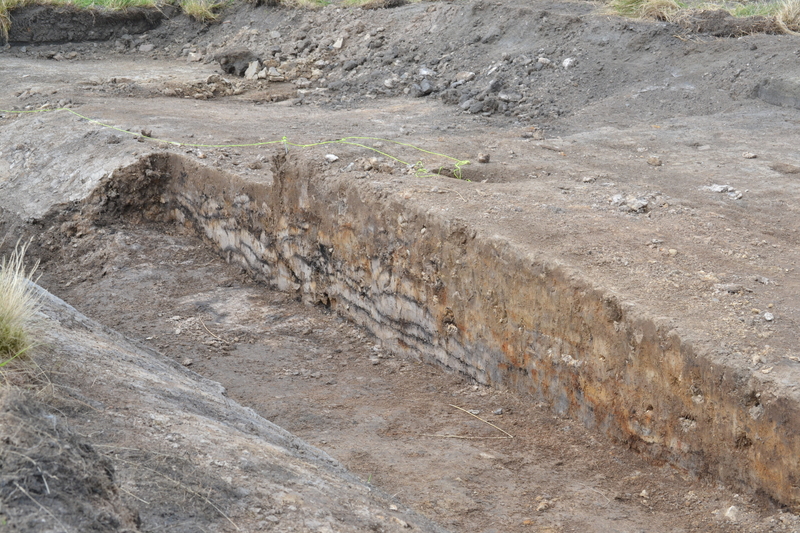 Norman Redhead explaining Trench 2, 2014. 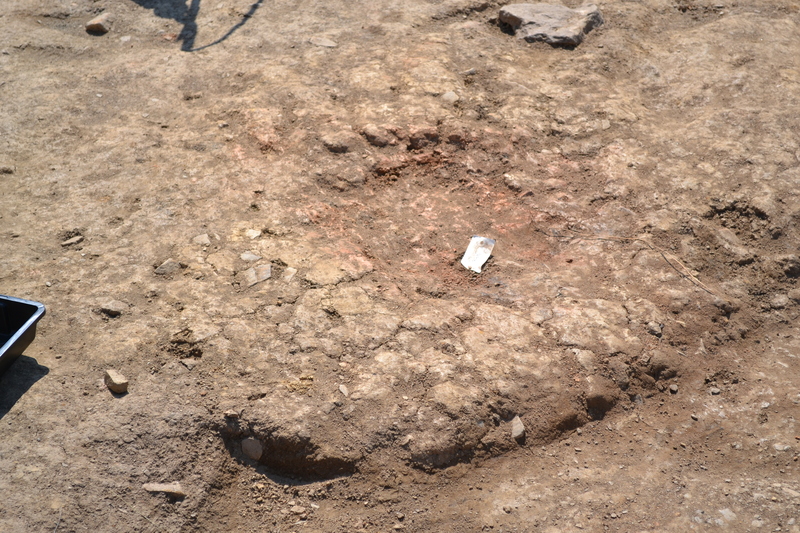 .A hearth in Trench Two……. 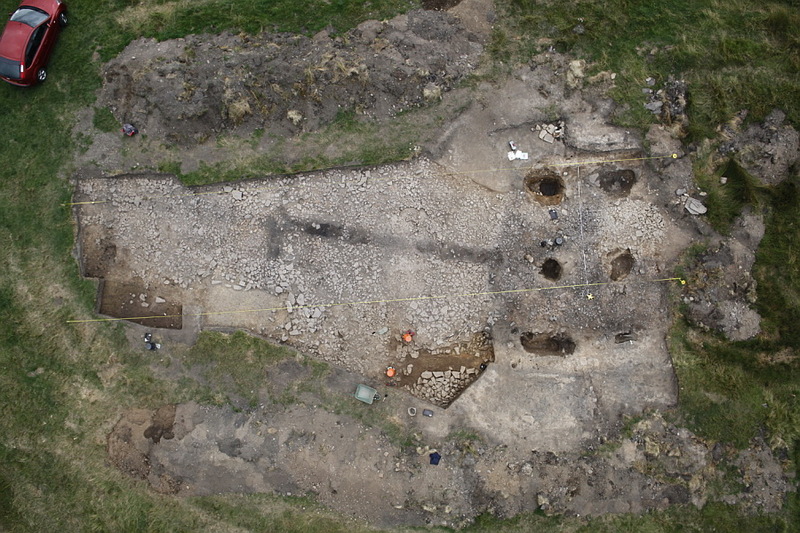 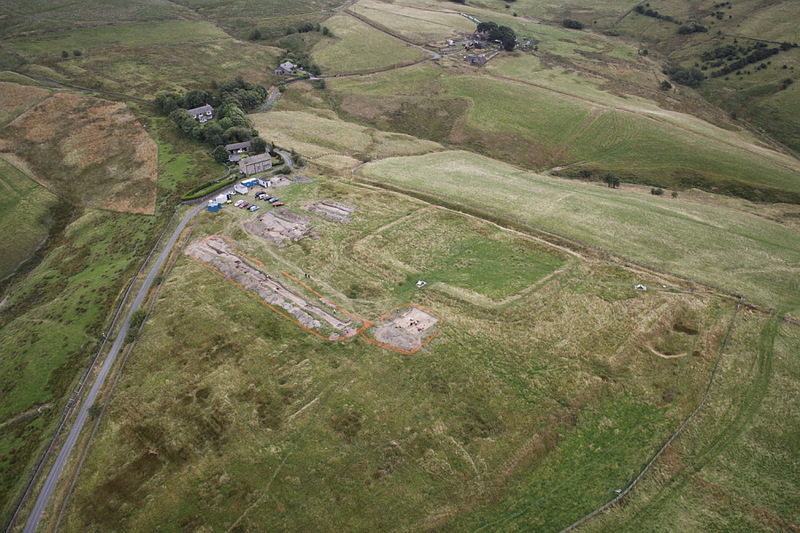 The Eastern gateway postholes from drone, the strange stone pad and the start of the road to the East over to Slack.